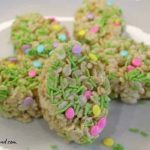 These Easter Rice Crispy Treats are not only fun to make, but they just brighten up the table and are a fun way to celebrate the season. Spring is in full force and I have made these a few times over the years. 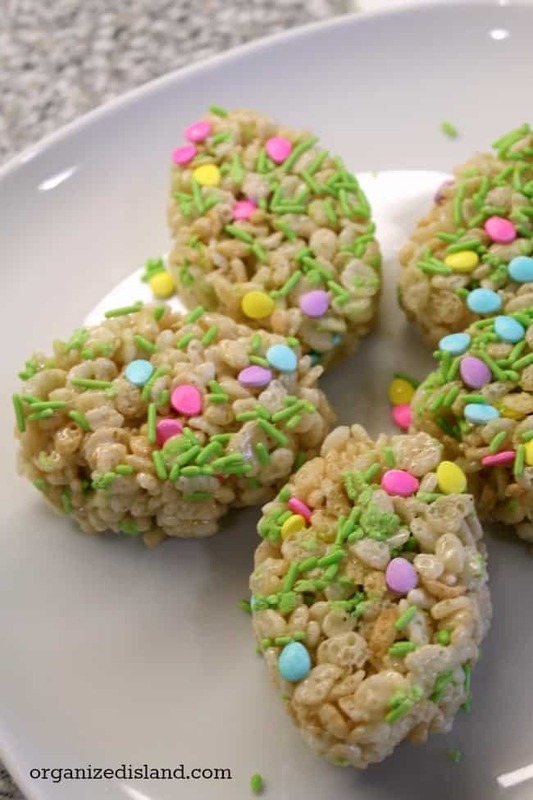 I love the Crispy rice treats because they are so easy to make, I know the recipe by heart. I have many happy memories of Easter and the best ones had lots of eggs and baskets. Of course we would enjoy a celebration at church and then invite all the grandparents over as well. This year we will be hosting an Easter dinner with the traditional ham and other fixings. I also plan to have these on the table or in some cute little baskets. Either way, they are always loved. I used the silicone football mold to make the oval shapes, then just pinched the ends in from the bottom of the pan to make the oval more of a round shape. Add mini marshmallows one cup at a time until melted. Remove from heat and add cereal one cup at a time. Press mixture into each mold and let set. 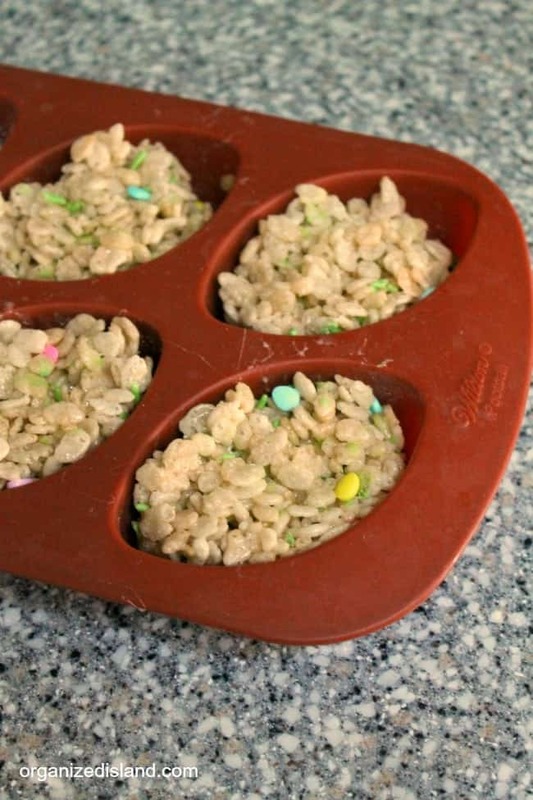 These are also cute for a lunch box treat or gift for a neighbor. Just tuck it in a cellophane bag with some plastic grass and it looks so cute. 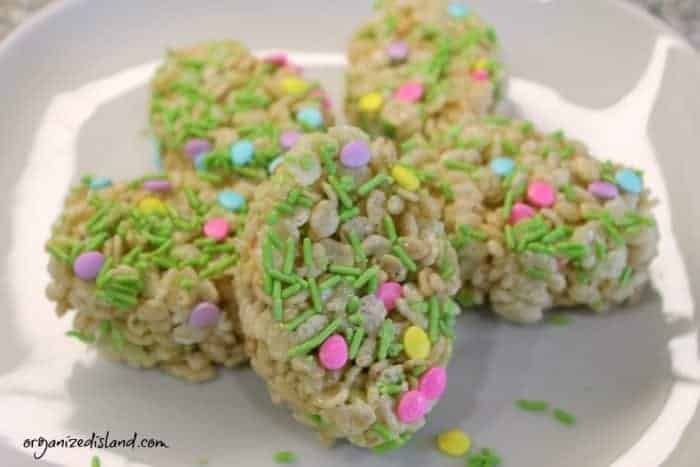 Do you love rice crispy treats as much as I do? Yup! That’s about perfection for me! I LOVE Easter recipes. 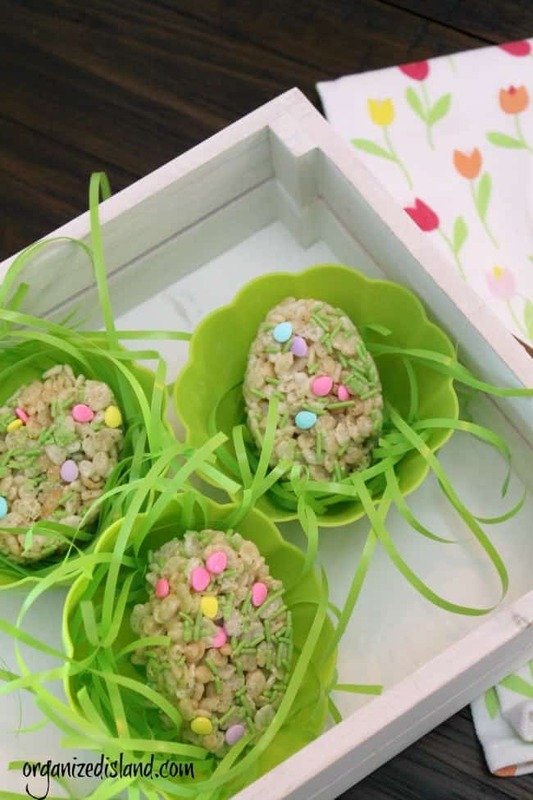 Those look perfect for Easter! 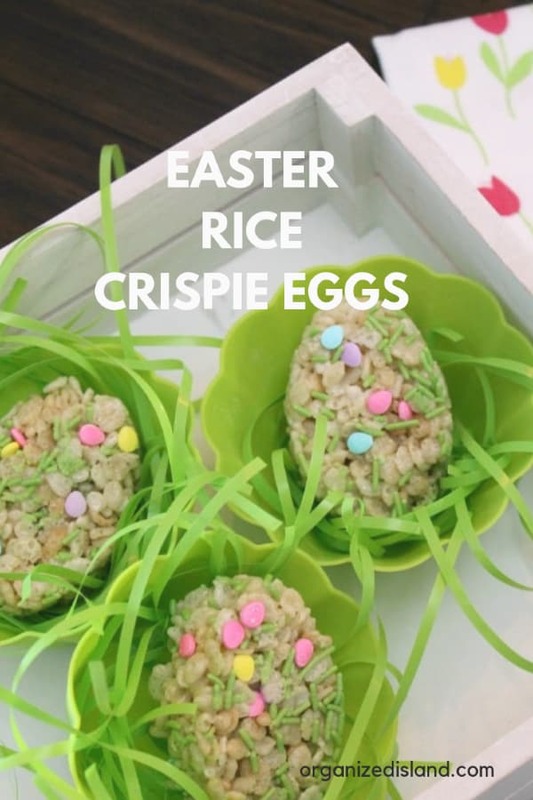 This looks amazing for easter! These are super duper adorbs! Kids of all ages will love them, including this 56 year old! Sharing on Desserts Required’s FB page this week.